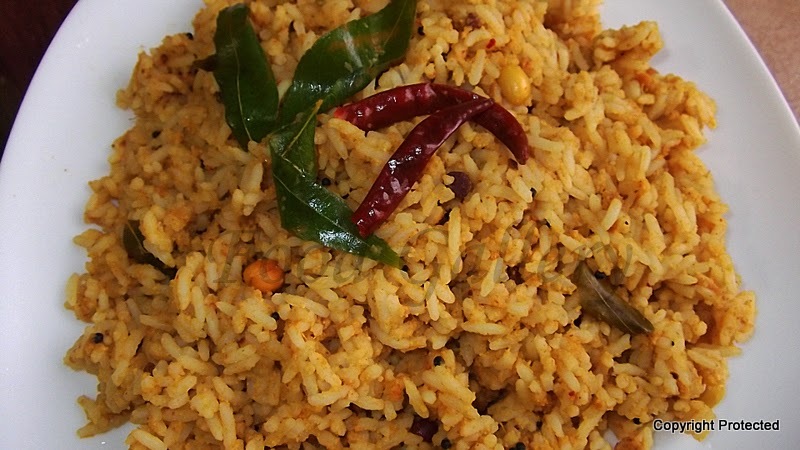 Tamarind rice or puliyodharai is one of the popular traditional South Indian recipes. It is quite delicious and flavorful, easy to prepare and is a complete meal by itself and doesn't require any sides/accompaniments. Serves as a great travel food too. Soak tamarind in warm water for abour half an hour and extract thick tamarind juice and keep aside. Dry roast the groundnuts till they turn golden brown, cool them, remove the skin and keep aside. Heat a tsp of oil in a kadai and roast all the ingredients under the "To roast and grind" section to golden brown, allow them to cool and then powder them and keep aside. Heat oil in a kadai and add the ingredients under "to temper" section in the order mentioned and fry them till the dal turns light brown. Then add the tamarind extract, turmeric, salt and mix well. Add enough water and let it boil in medium/low flame for about 10-15 minutes. 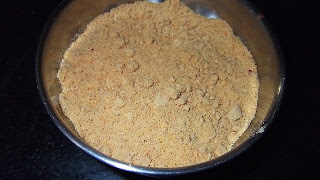 Once the volume of water reduces to half, add jaggery and the ground powder and mix well and let it boil again in low flame till the mixture becomes thick. Add the groundnuts and mix well and remove from fire. Add this mixture to the cooked rice (do not use the entire mixture, add only as much as required) and mix well. Adjust salt as required. Keep covered and allow it to rest for at-least half an hour before you serve. 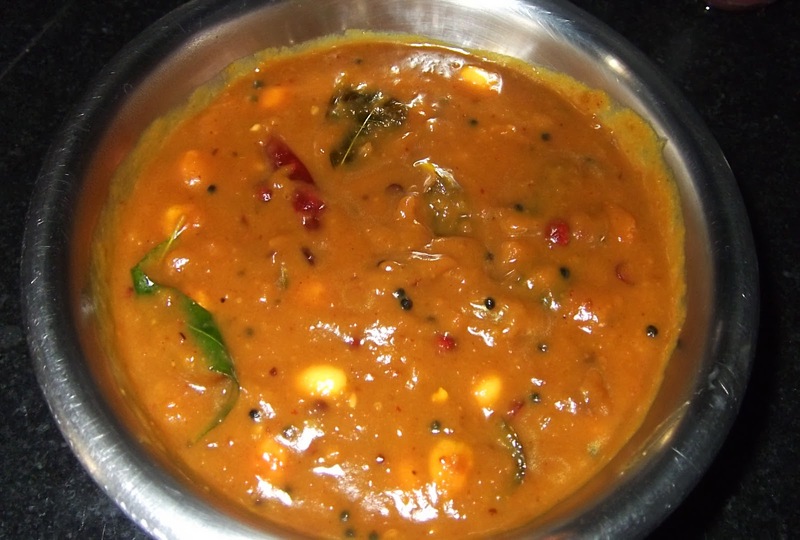 The puliyodharai is ready to be served with papads or potato chips. The mixture, if any left, can be stored in the refrigerator. Stays good for at least a week. 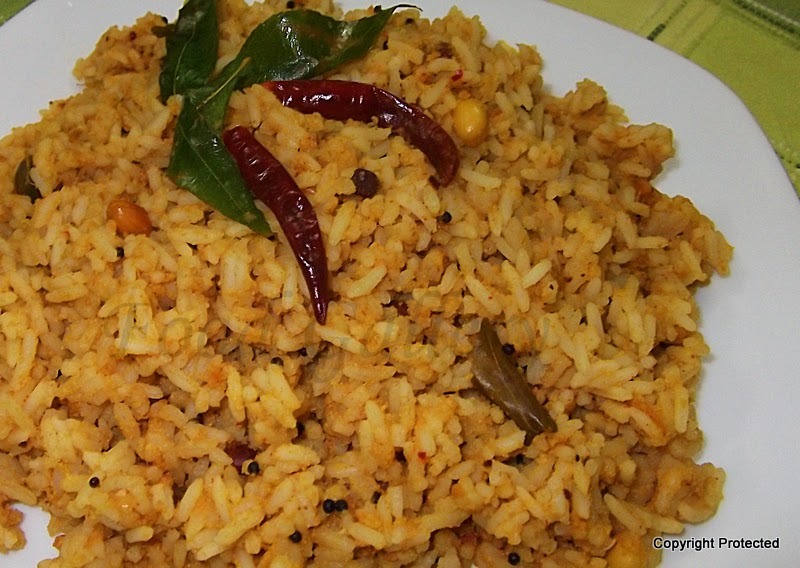 Can use basmati rice too to prepare this puliyodharai. I have used normal rice here. Adjust the red chillies quantity to suit your taste buds. Love tamarind rice. Thanks for sharing.